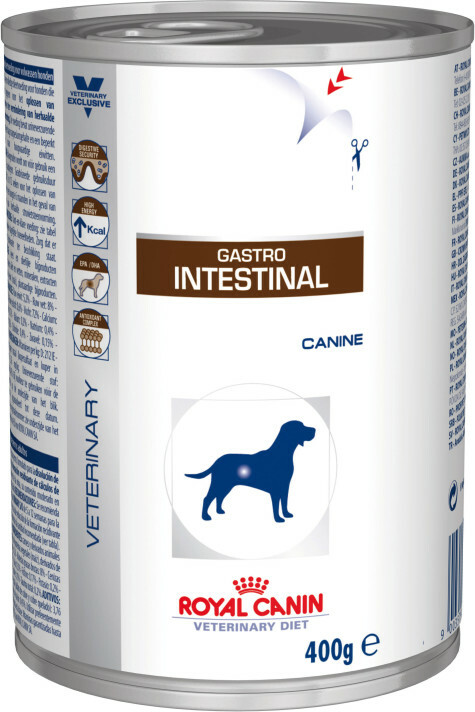 Gastro Intestinal (can) For dogs with acute and chronic diarrhoea, Inflammatory Bowel Disease (IBD), maldigestion, malabsorption, re-feeding after surgery, Small Intestinal Bacterial Overgrowth (SIBO), Exocrine Pancreatic Insufficiency (EPI), gastritis, colitis, inappetance. 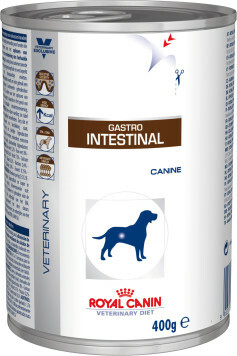 A combination of highly digestible proteins, prebiotics, fibres and fish oil to ensure digestive security. The energy density fulfils increased energy requirements while reducing the amount of food given per meal, decreasing the digestive workload. It also helps promote weight regain during convalescence. 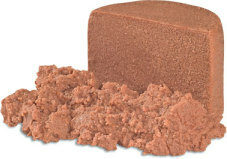 The synergistic antioxidant complex helps neutralise free radicals. Pork and poultry meats, salmon, rice, vegetable fibres, sunflower oil, minerals, gelling agents, taurine, fish oil, yeast hydrolysate (source of Mannan-Oligo-Saccharides), marigold meal (rich in lutein), trace elements (including chelated trace elements), vitamins. Crude ash: 8%. Crude fibre: 6%. Crude oil fats: 26%. Moisture: 75%. Protein: 34%. Vitamin D3: 380IU, E1 (Iron): 7mg, E2 (Iodine): 0.35mg, E4 (Copper): 2.3mg, E5 (Manganese): 2mg, E6 (Zinc): 21mg.